The Wood Elf in Warhammer: Chaosbane is a ranged character that can fire a lot of arrows and summon tree minions. Is the Wood Elf the generic ranged archer that you would expect to see in an action RPG like this one? Yes, for the most part, she is, but she also has some unique mechanics about her, like summoning dryads, which are basically walking trees that attack your enemies. It’s hard to say if the class itself is too bland or are we just bored of looking at the same old “dark” art style that some of these ARPGs are rocking, Warhammer: Chaosbane included. The only games on the market that nail that whole look and atmosphere are Path of Exile and Grim Dawn, and of course, you have Diablo III, but that title severely missed the feel and authenticity of the previous Diablo games. 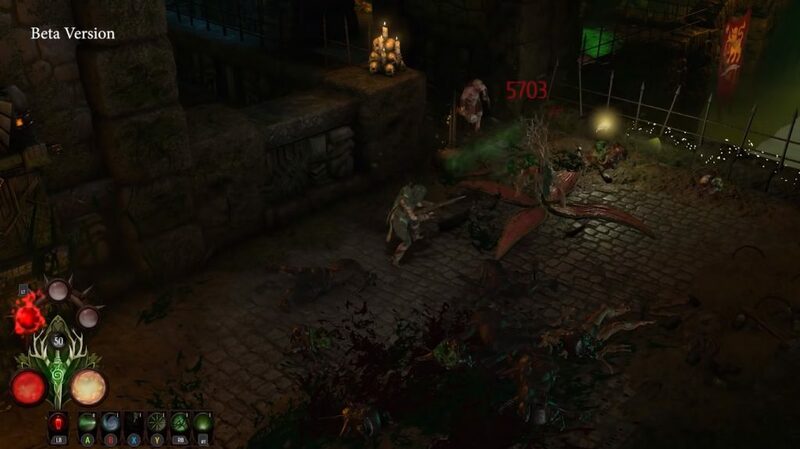 Also, Warhammer: Chaosbane just looks like a weak Diablo III clone in almost all aspects including the monsters, art style, combat, and so on, which people are openly saying in the video. Still, we shouldn’t be judging this title before we get to play it. It’s just the fact that even after all these videos, the devs didn’t manage to show us anything that would give us a reason to try this particular game. Nothing about it seems original or makes you want to play it yourself, and that’s sad. Who wouldn’t have loved an exilirating and bloody action RPG that is set in the Old World? What are your thoughts on Warhammer: Chaosbane? Will you be giving it a shot once it launches or not? Let us know your opinions in the comments section down below!